I had the sweet honor of meeting a fellow Reece's Rainbow family in 2011 when David and I committed to adopting Teague,Trenton, & Maclayne. This family had both biological and adopted children. 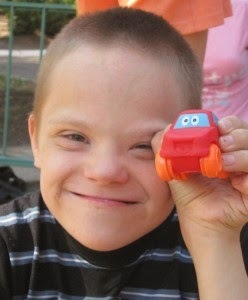 They were like us in that they felt led by God to travel to Eastern Europe and adopt orphans with Down syndrome. The mom's and my shared passion for these precious children made us fast friends! 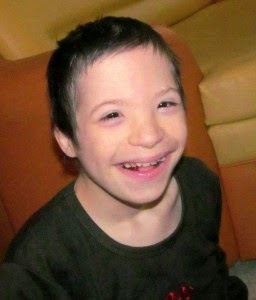 And, their support of special needs orphans did not just stop at the adoption of their own children. It has continued through their commitment to help other precious orphans find forever homes and through their support of families desiring to adopt special needs orphans. Their selfless commitment has manifested itself in hours upon hours of prayers lifted to God for these orphans and families. And, it has also come though the family's generous monetary donations to adoptive families in need. My own personal family has benefited from this family's generosity. Therefore, I am beyond honored to help this family in any way that I can. Can YOU help? Can YOU find it within YOURSELF to help get these precious boys home? Friends, it's time we step up and repay this family for their generosity toward other adopting families & orphans desperately wanting a forever family. I just donated, will YOU? NOTE: This family will be able to go public with their names and information once they have had court for Dell, Gene, & David. They have had contact with these three boys and both the mom & dad report that they are already head over heals in love with Dell, Gene, & David. And, most importantly, THE THREE BOYS ARE EXCITED TO HAVE A FOREVER FAMILY OF THEIR OWN!!! It just doesn't get any sweeter than that, folks! Praise God for His continued design of this beautiful family!! DELL, GENE, & DAVID WILL BE HOME WITH THIS FAMILY ~ THEIR FOREVER FAMILY ~ VERY SOON!!!!!!! The family is still journeying to bring Kiril home. And, believe me, they are doing all they can to bring their precious boy home. 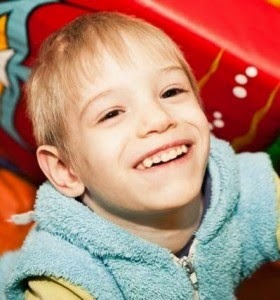 Once news of Kiril's journey home becomes available, the family will be able to make it public. 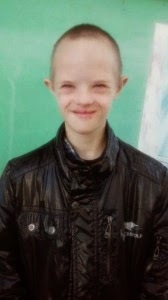 In the meantime, please pray for Kiril and the family's journey to adopt him and make him An Orphan No More. Click HERE to find out more about this family and to make a tax deductible donation today! Even a $5 or $10 donation will go a long way ~ I PROMISE!! This family needs just under $5000 to be fully funded! It may seem like a huge mountain to us, but with God it is only a small bump! !